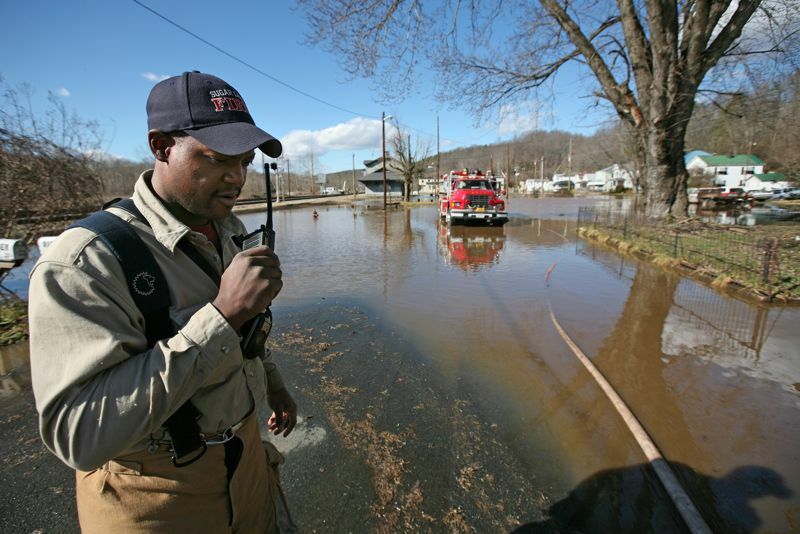 Photos By Norm Shafer : ©2010 www.nelsoncountylife.com : Arshag Humbles, Assistant Fire Chief of the Gladstone Volunteer Fire Department communicates by radio with another fireman as they start pumping water from the main street of Gladstone, Va. Monday January 25, 2010. The fire truck can pump 1000 gallons of water a minute. Click photos to enlarge. It’s been a tough couple of days for people living in Nelson and the rescue crews taking care of us. Things are slowly getting back to normal today as much of the flood waters from Monday have started going down, but many locations, especially near the James River, have one more day to be a bit tense. Trevor Bantoni, 7 plays in his front yard in Gladstone, Va., Monday January 25, 2010. The main street in the town flooded early Monday morning. The Gladstone Volunteer Fire Department was setting up hoses to begin pumping water from the street. The water came up to the front steps of most homes, but didn't enter them. Our, Norm Shafer, spent part of Monday in Gladstone, one of the hardest hit areas, grabbing shots of folks their dealing with the flooding. 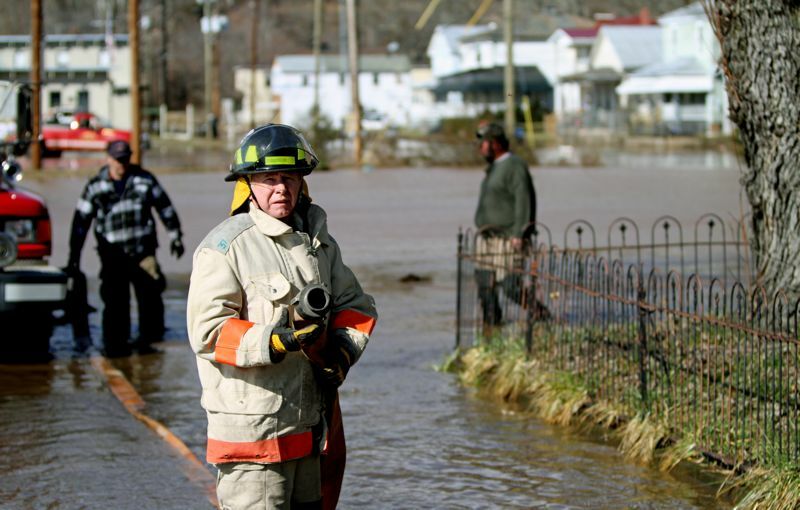 Firefighters get ready to pump water from streets in Gladstone on Monday afternoon. 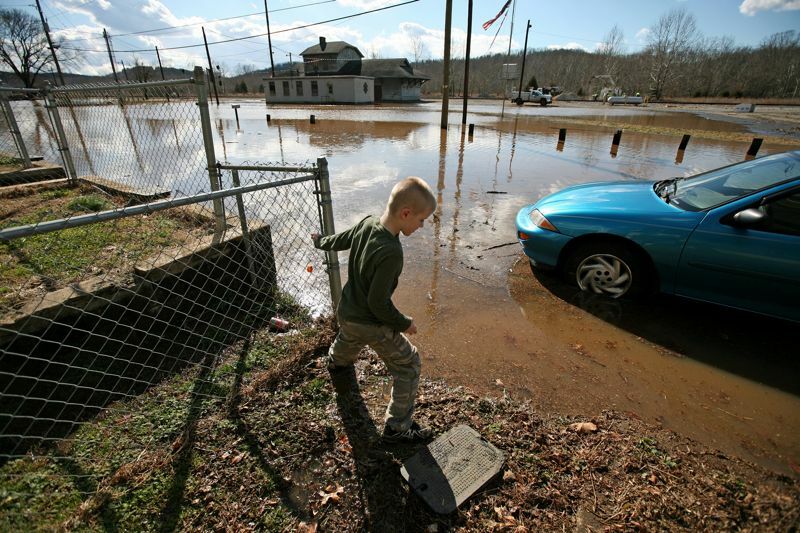 All of the previous coverage from Monday’s flooding here and here and here. Now concerns additionally turn to a potential potent winter storm headed our way by the weekend. More details over in Tommy’s Audio Weather by clicking here.